What’s better than experiencing freedom? Experiencing freedom together! Calling all thrill-seekers and nature lovers! Get ready for an exhilarating zipline tour at Harpers Ferry Zipline Adventure, near DC, which offers a unique opportunity for a professionally guided zipline tour through the treetops in West Virginia. Ride on a network of eight ziplines, at heights of up to 800 ft., take on the challenge of the adventure sky bridges suspended high above the forest floor, and enjoy the stunning views of Harpers Ferry on this incredible adventure. Our family-friendly zipline and canopy tour is built for adventurers of all ages and makes for wonderful memories. 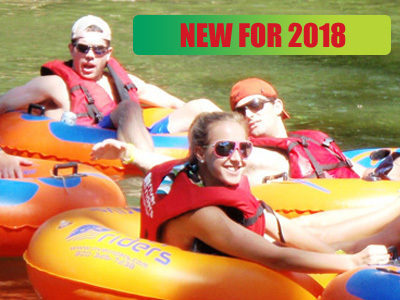 River Riders is consistently ranked as the #1 Outdoor Activity in Harpers Ferry on Trip Advisor for the last 10 years. If you’ve searched high and low for things to do near Harpers Ferry, WV, search no more. Look to the skies and find your adventure! Load up the family and come to River Riders Family Adventure Resort and enjoy this thrilling Harpers Ferry zipline experience together! 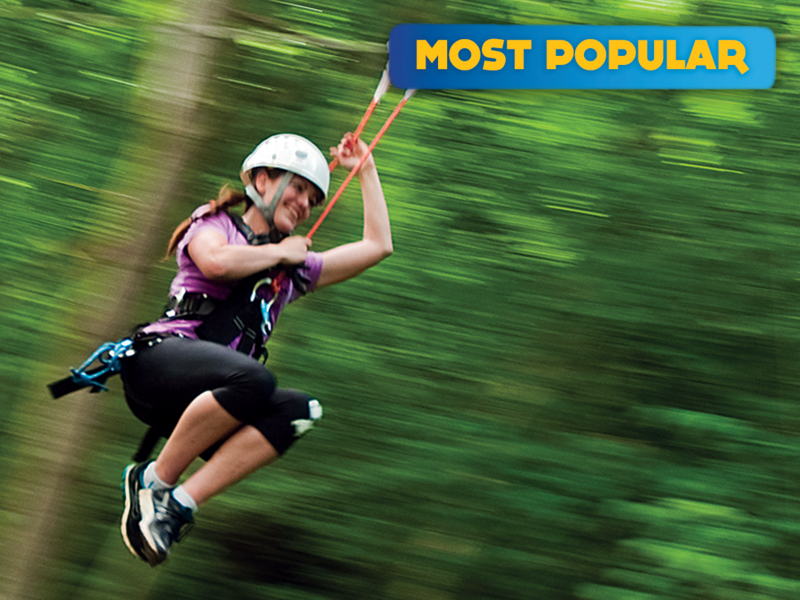 The Canopy Tour and zipline ride is not a self-guided adventure park, although we have one of those too! Choose your Harpers Ferry ziplining adventure below or get more information about our Adventure Pass at River Riders. The zipline on the Harpers Ferry Canopy Tour in Harpers Ferry, WV is one of the most exhilarating adventures at River Riders Family Adventure Resort. Come soar through the lovely Potomac riverside woodlands and enjoy a bird’s-eye view of the Harpers Ferry Gap and Harpers Ferry National Park, C&O Canal, Appalachian Trail, and the Potomac National Heritage Trail. Give your family something meaningful: Give them an adventure.